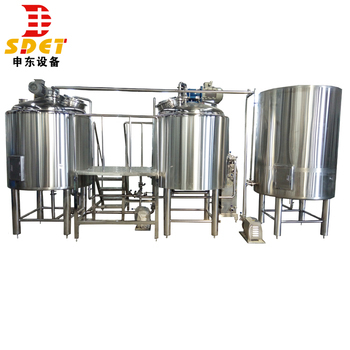 Craft beer machine 20bbl beer brewing equipment with racking arm and agitator,sight glass manhole, with Siemens VFD for them. Usage Control all the pump and motor. 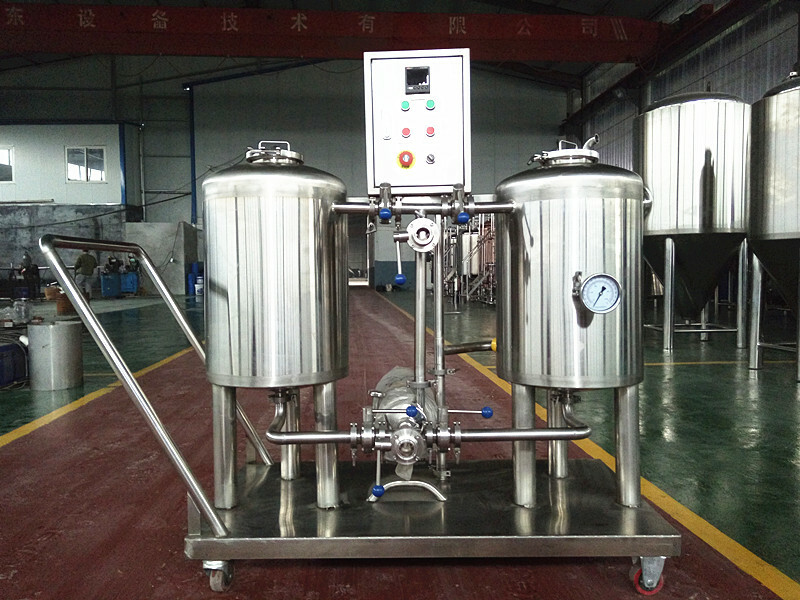 Control mashing system and CIP system manually, control fermentation tank temperature automatically. 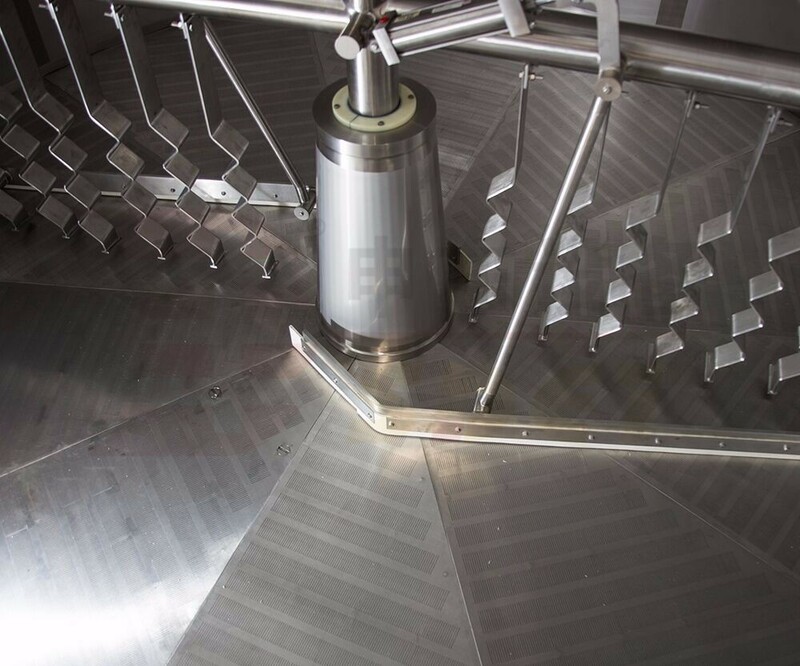 During the mashing system, the lauter tank and boiling kettle are vital important for the whole brewing equipment. It effect the filter of wort. 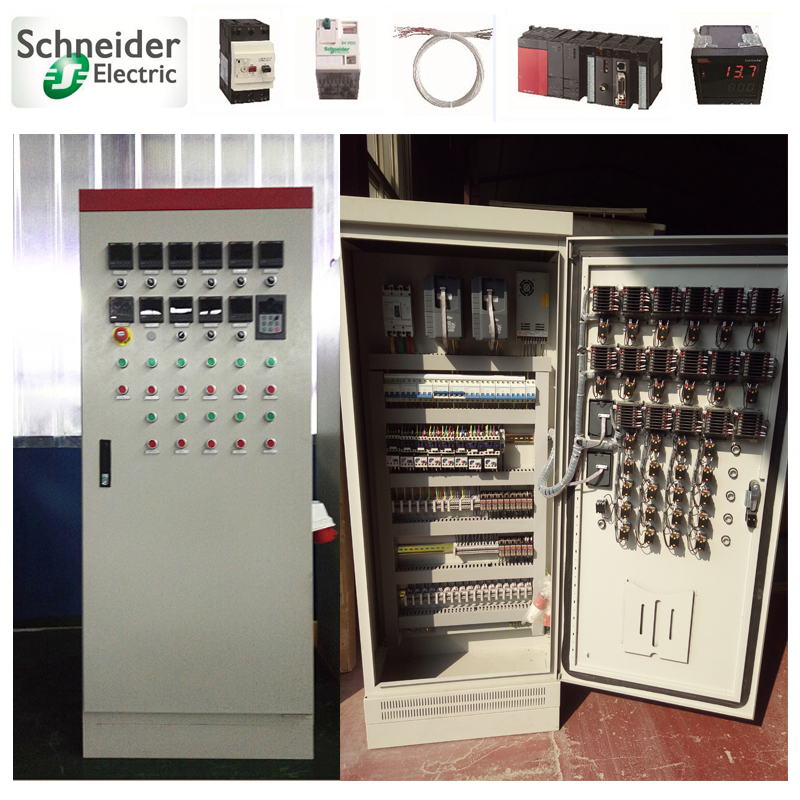 1.Different capacities for different requirements, depend on your demands. 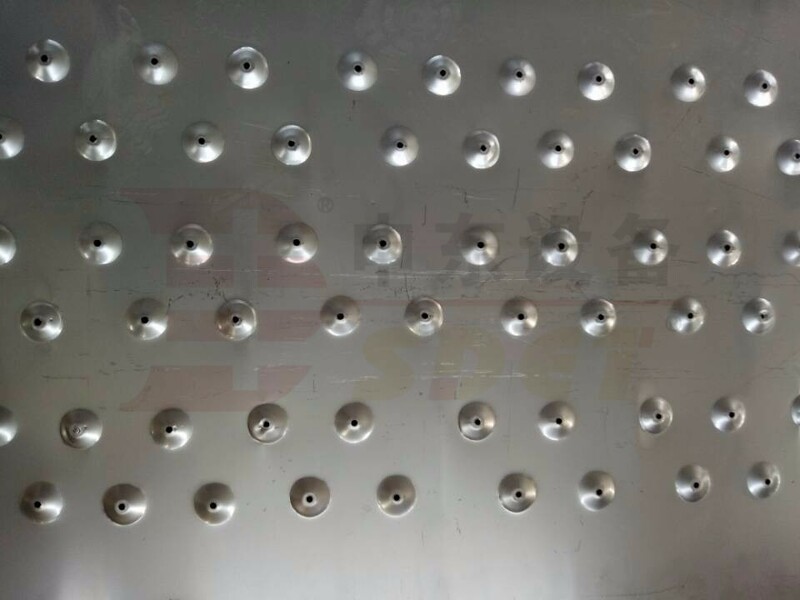 15.We will provide turnkey project service, the design and others will be customized. 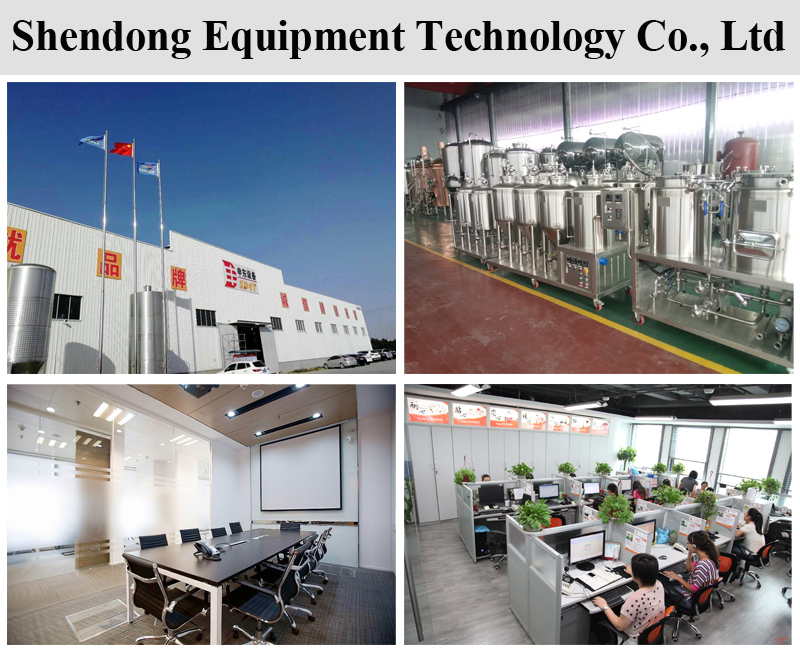 Shandong Shendong Equipment Technology Co., Ltd is one of the most professional beer equipments manufacturer and supplier In the Spring City-Jinan, We have the most advanced technology and world class at Shendong. 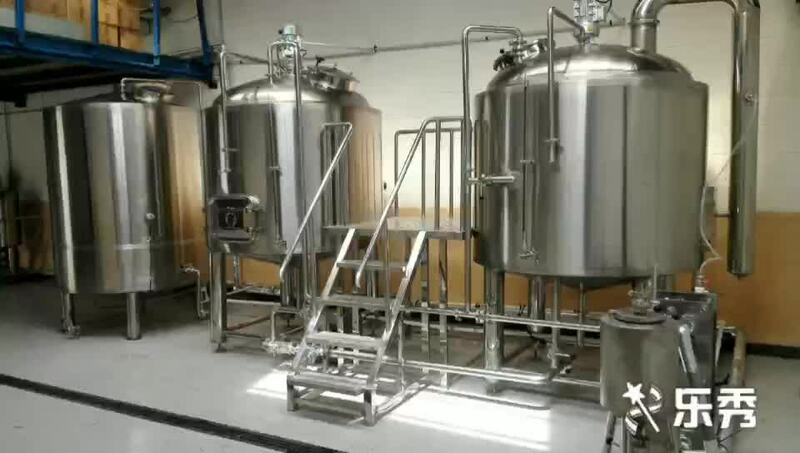 Shendong is integrating with R&D, processing and engineering installation which is specialized in manufacturing beer brewing equipment and facilities, not only suitable for micro and middle breweries, but also becomes the best choice for beer brewing in top hotels, pubs, cabarets, home and other amusement places.The characteristics of this equipment are fabrication at scene, maintain the freshness and nutrition maximum. 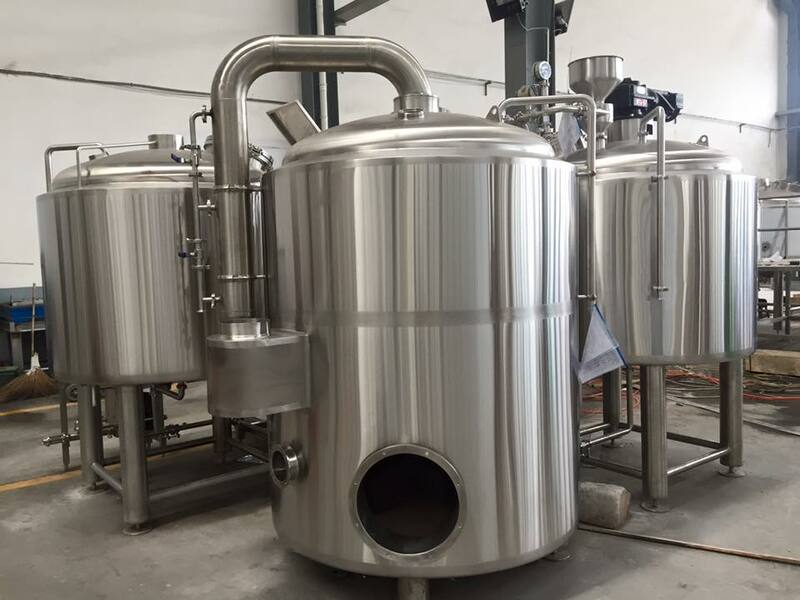 We have exported lots of brewery equipment to European and other countries, All the equipment produced by our company are adopted in SUS 304/316, and have passed CE, ISO, and PED test. We can show you our qualification and certification, to ensure provide the best quality equipment for you. 1. 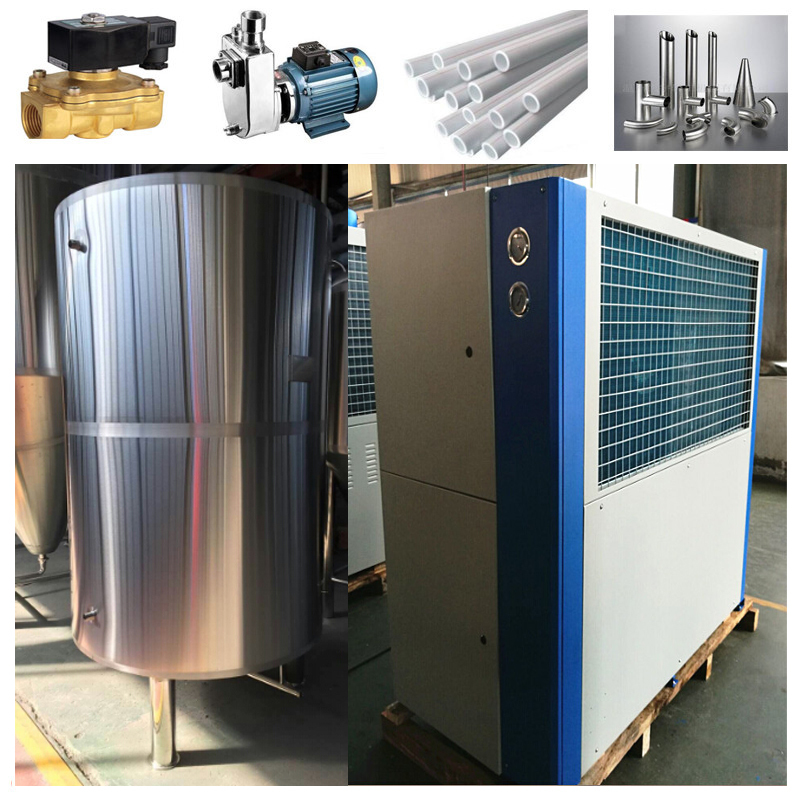 Package: inner with stretching membrane and PE paper, outer with frame steel, or customized. 5. 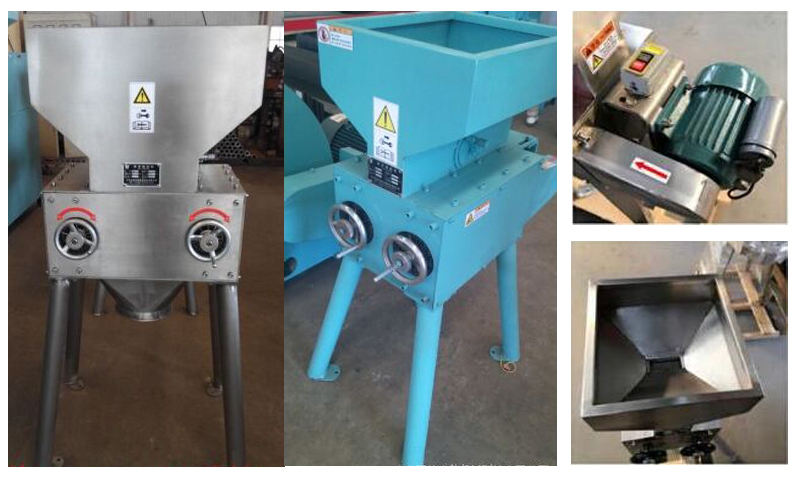 Customers' requirements of the packages are available, Please tell in advance. 1. Can your craft beer machine make both lager and ale? 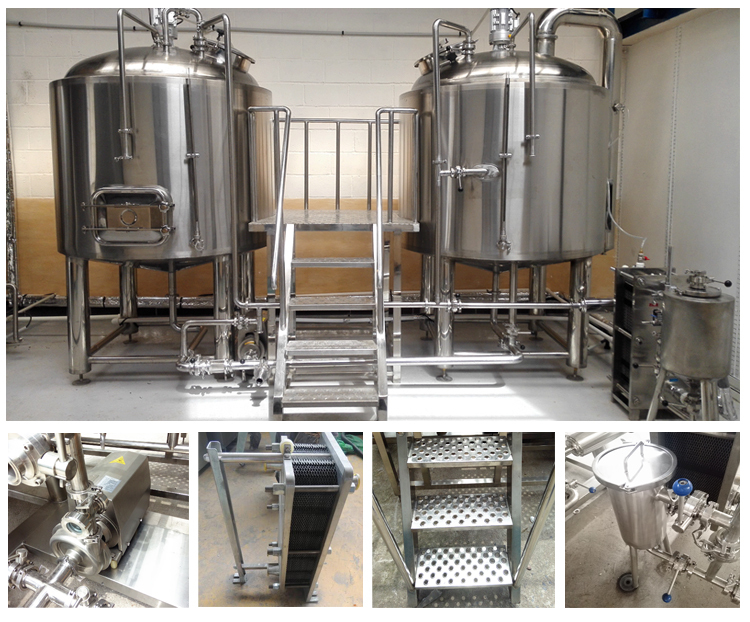 A: Yes, our beer brewing equipment can make both lager and ale. 2. How to achieve temperature control? A: The PLC or digital dispalyer could control the temperature by connecting with the PT 100 sensor. 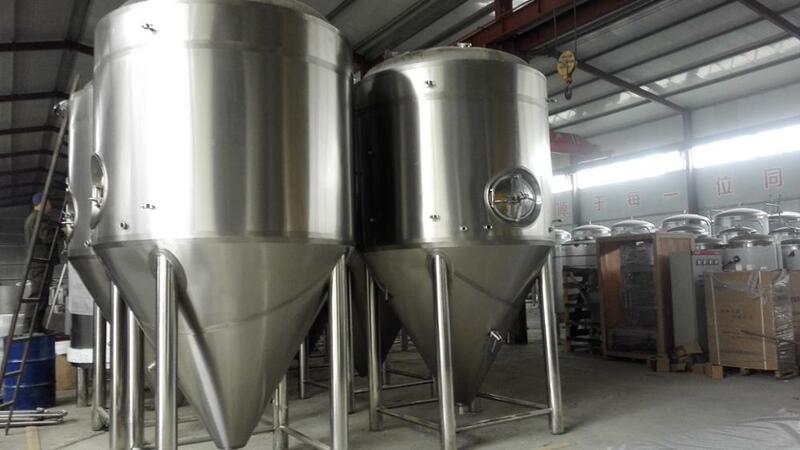 The brewing tanks with rock wool to keep warm, the fermenters and bright beer tank with PU as cooling jacket to keep cool. 3. Is it possible to supply installation in our country? 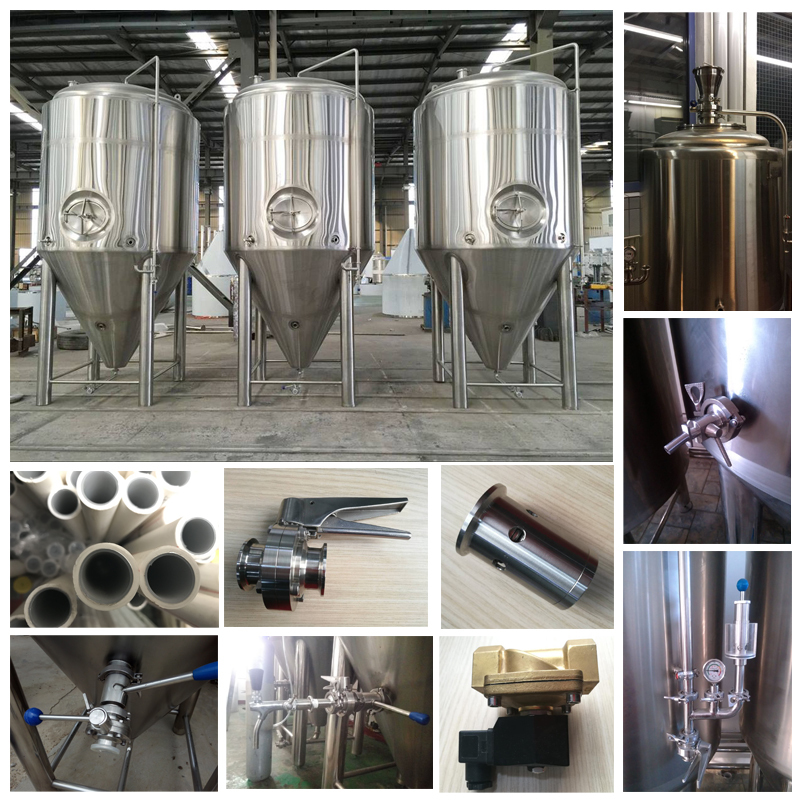 A: Yes, we could supply our clients over sea service and direct the installation and brewing.